Funny and surprisingly poignant, Latin History For Morons slyly poses sharp and timely questions of what culturally defines American Identity. Why See Latin History For Morons? After two sell-out runs in New York, Tony and Emmy award winner John Leguizamo returns to the stage with his critically acclaimed Latin History For Morons! Debuting at the Public Theater back in 2017, Leguizamo's "funny and surprisingly poignant" (New York Times) one-man show transferred to Broadway's Studio 54 the same year, garnering a Tony nomination in the process! 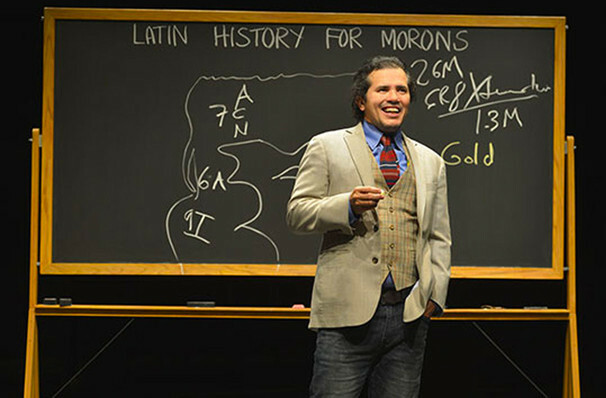 Latin History For Morons marked Leguizamo's sixth return to Broadway with the star already garnering a Tony nomination for his 1998 self-written and self-starring Freak. Tony Taccone returns to the production to direct. What is Latin History For Morons about? Upon finding out that his son's American history syllabus was woefully devoid of Latino history, Leguizamo was inspired to hunt for a Latin American historical figure for a school project. The search resulted in a one-man-show that covers 3000 years of Latin American history in 95 raucously funny minutes. From the Aztecs to Ricky Ricardo, from shining moments to marginalisation, Leguizamo leaves no stone unturned. Images are taken from the original Broadway production. 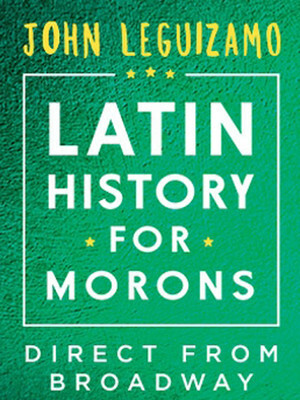 Seen Latin History For Morons? Loved it? Hated it? Sound good to you? Share this page on social media and let your friends know about Latin History For Morons at Winspear Opera House. Please note: The term Winspear Opera House and/or Latin History For Morons as well as all associated graphics, logos, and/or other trademarks, tradenames or copyrights are the property of the Winspear Opera House and/or Latin History For Morons and are used herein for factual descriptive purposes only. We are in no way associated with or authorized by the Winspear Opera House and/or Latin History For Morons and neither that entity nor any of its affiliates have licensed or endorsed us to sell tickets, goods and or services in conjunction with their events.